City of Light? City of Lights? City of Night Lights is more like it. 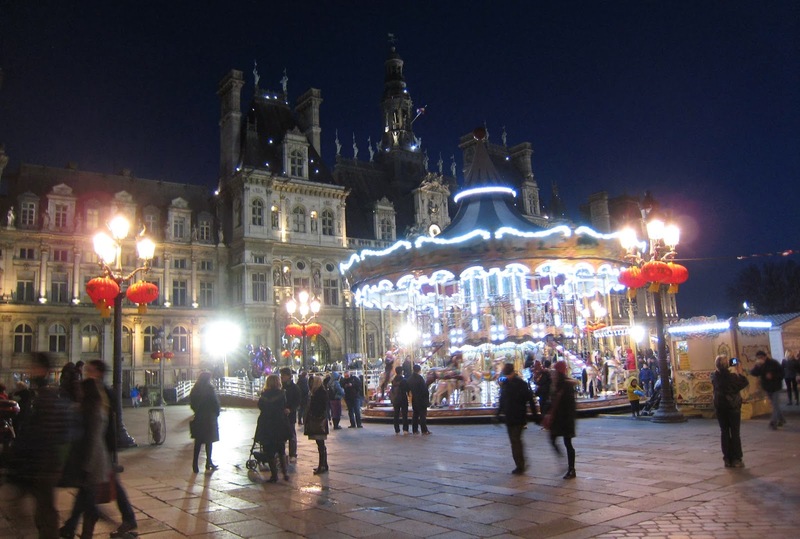 There is some dispute about the origins of the nickname "City of Light" -- but most seem to agree that it comes from the fact that during the Age of Enlightenment in the 17th and 18th centuries, Paris was a major center of education, arts, and intellectual advancement. 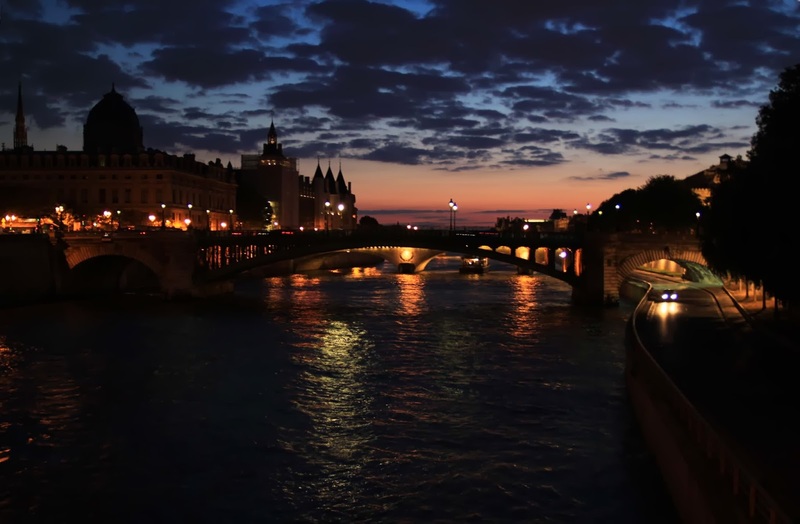 In the 19th century, the nickname morphed into "City of Lights" as Paris was the first European city to adopt street lights, starting in 1828. But now, people mistakenly assume -- understandably --that the nickname refers to the city all lit up, gleaming, glowing, and sparkling at night. 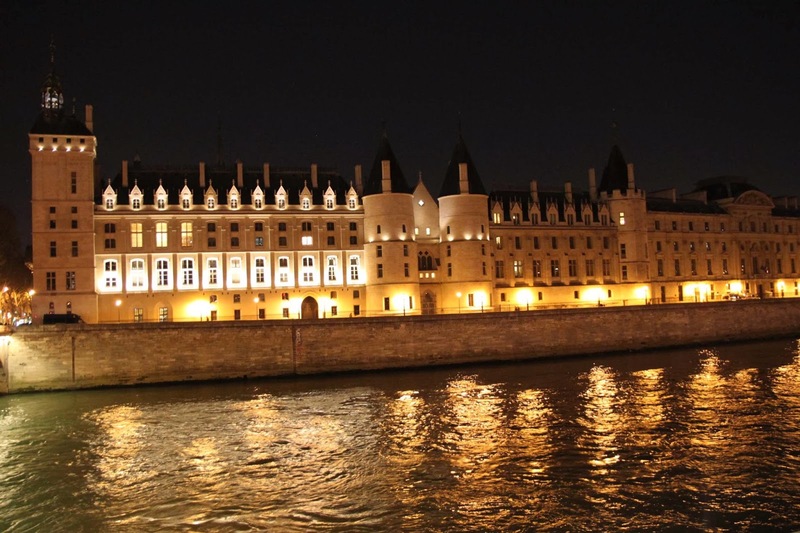 You'll notice many of the pictures are taken over the Seine. I'm a sucker for a reflection shot. But this pool outside the Palais de Tokyo will do, too. As will these wet sidewalks and roads. It's not always about the reflections. The lights on their own make this city even more magical at night. If you're staying for a visit, assume I will take you on at least one night walk. Bring your camera. 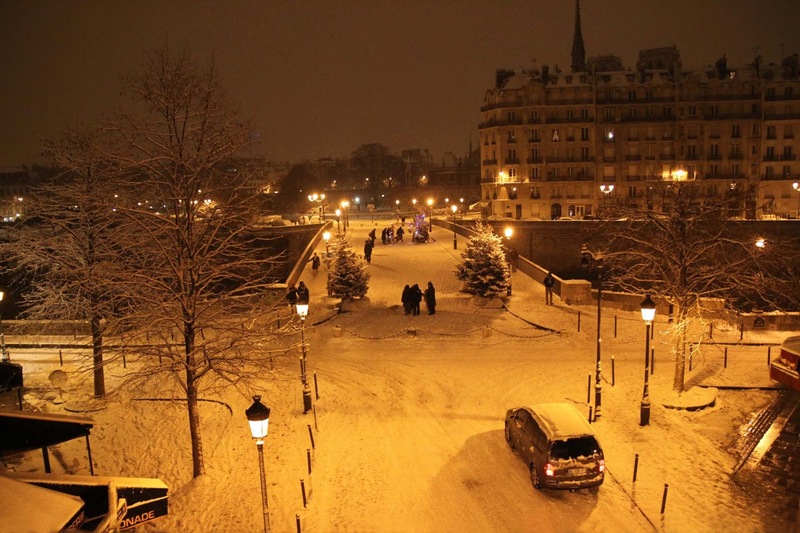 Paris glows at night in all seasons, all weather. Gour Noir is a raw goat's milk cheese from Limousin, in central France. It's made in cool caves in Corrèze by the Arnaud family, who have been here with their goats since 1979. They created this cheese to be distinctive, both in color and in its oval shape. Like their herd of Saanens goats that give the milk, the inside of the cheese is a beautiful snowy white. The outside is a delicated black and flecked-white brainy mold. The texture of the cheese is thick and creamy, and the taste is mild with a natural sweetness from the milk and just a hint of salty goat tang. A delicious, elegant, very visually unique cheese. While the proper definition of a "gour" is actually a carbonate concretion that creates a dam in underwater flows (whatever that means), it is more commonly -- if incorrectly -- used to refer simply to a deep water hole. And, as we know, I am a sucker for water reflection shots in deep water holes. Evidently, I am also a sucker for cheese reflection shots, and I shot this cheese on a mirror before I knew I was going to pair it with a story involving reflection shots. The "noir" means "black", which hints at both the cheese's exterior and a Parisian night but, frankly, doesn't accurately describe the beauty of either one of them.